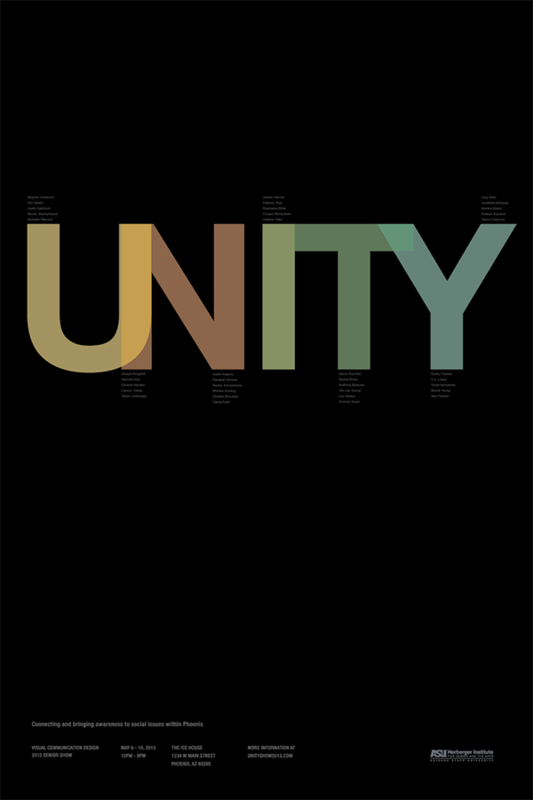 Another of the fourth year design projects was to make two posters to represent the final senior show with the theme of Unity. One would be an image-based design and the other a typography-based design. This one is my typography-based one. The names of the students in the show are the small paragraphs extending from the letters.